They come together to celebrate, find inspiration and discuss the future of education, as well as the role technology and innovation plays in enabling all educators and learners to thrive. 23-26 January 2019 at ExCeL London. Bett 2019 has been built around the real needs of the education community, focussing on key themes from our annual research. This year, we are doing even more to provide the best return on time for every visitor to the show. By extending our opening hours with Bett Lates, facilitating more networking opportunities and adding new functionality to the Official Show App, we’re looking to ensure that you can make the most of every minute at the show and take with you meaningful and actionable insights. Click here to see what’s on. 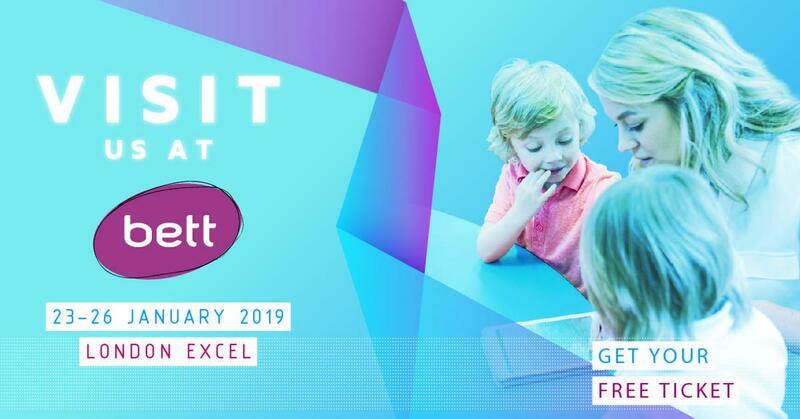 Bett is the first industry show of the year in the education technology landscape, bringing together 850+ leading companies, 100+ exciting new edtech start ups and more than 34,000 attendees. The Educator Magazine UK is once again an official media partner of the event, and we are very proud of our association. We strongly recommend exhibiting at the event as a direct route to connect with Educators and suppliers alike.